Our designer collection Industrial Landscape by Tom Dixon was originally launched in 2016. Several years and even more international interior projects later, we have put each pattern in the spotlight to make sure that they all keep their energy and relevancy when hitting the floors in interior designs all over the world. 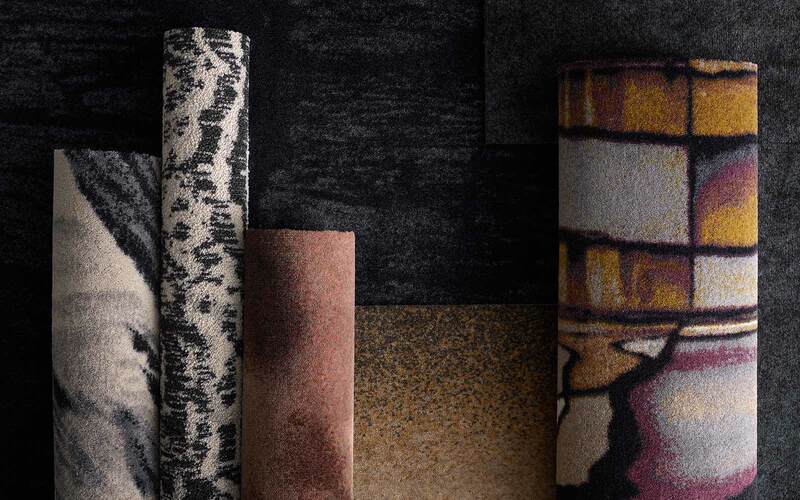 Tom Dixon's endless interpretations of London surfaces has led to the introduction of two new designs: Coal and Iron. 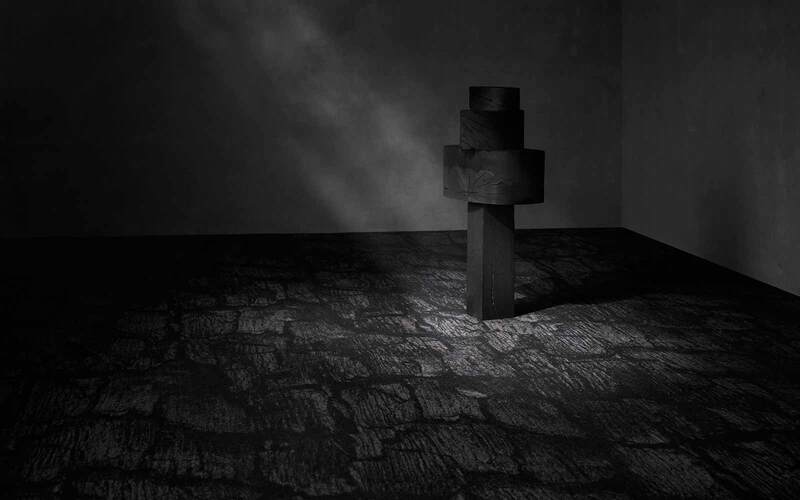 Obviously also inspired from the all-pervading London structures and materials, Coal reflects the dark and mysterious substance that powered the Industrial Revolution. 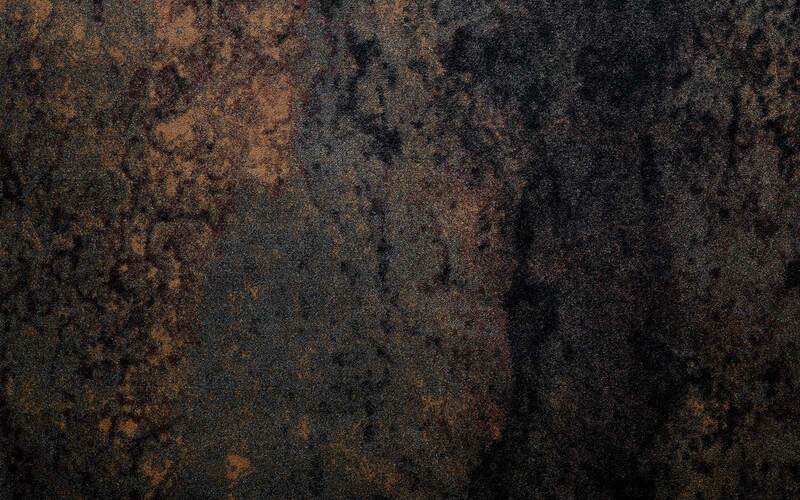 The Iron design imitates the gradual disintegration of the oxidised metal surface that generates a random hued patination. Introducing the new designs, Coal and Iron, the collection interprets two important industrial pillars. Besides that, Industrial Landscape consists of five other patterns: The Smoke design visualises the fumes from factories and workshops, while Wash is inspired by the white paste that temporarily covers shop windows during renovation. In Blur, the distorted city reflects in transient bits of water, while Tide shows the ever-changing sediments of the tidal River Thames. As the seventh and final design, Brick symbolises the London bricks visible all over the townscape. Click this link to explore all designs. Industrial Landscape results from the newest trends and ways of thinking within architecture and interior design. While technology on one hand brings us completely new and environmentally friendly materials it also facilitates a visual re-emergence of scarce resources and non-sustainable materials such as coal. Tom Dixon: As the raw materials become scarce or morally unjustifiable to use, we can replace them with man-made imitations. Digital technologies push the limits for, what is real and what is not while making it possible to use materials or elements from the past in a sustainable and responsible manner. 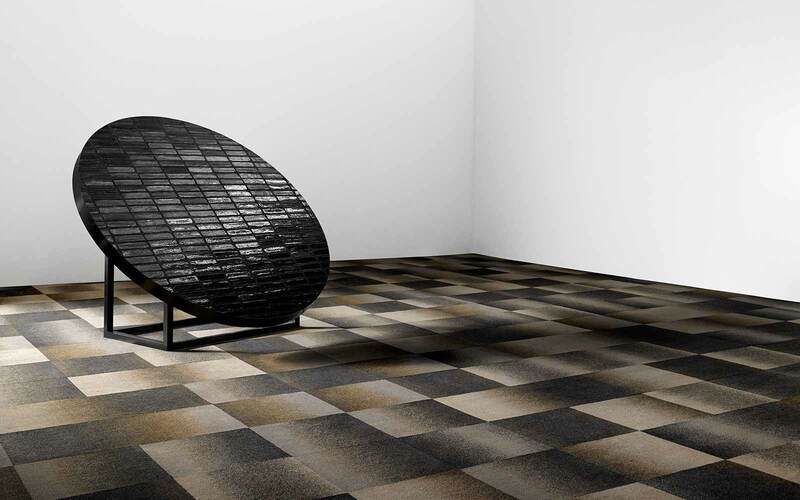 Industrial Landscape comes as carpet tiles and broadloom. Mix and match the seven designs to create completely new expressions or combine with other ege collections for a unique flooring design. The collection is, amongst others, available in our Highline 1100, Loop and Carré qualities that are made from regenerated and regenerable ECONYL® yarns. Produced from abandoned fishing nets and other industrial nylon waste these yarns can be reborn over and over again in a closed cycle. The tiles are fitted with our patented Ecotrust backing based on used water bottles that are turned into a strong and sound reducing felt material. Industrial Landscape is Cradle to Cradle CertifiedTM as we aim at manufacturing products that consist exclusively of materials which are part of a healthy life cycle, with no harm on people and the environment. and similar specifications in the EU. Therefore, GOLD certified products are those with the best-in-class low emissions. The designer collection that originally launched three years ago has entered the floors in several international office and hospitality projects, among others. Below, some of the best examples display the true potential of the designs that are inspired by London but suitable for the whole world. Take a nearer look to explore the diversity of the various styles when fitted into different venues and interior settings. Scandic’s signature hotel for urban explorers is an inspirational lifestyle destination. At Downtown Camper, nature meets metropolis, and Stockholm locals meet visitors. Here, luxury means generosity, togetherness and experiences. 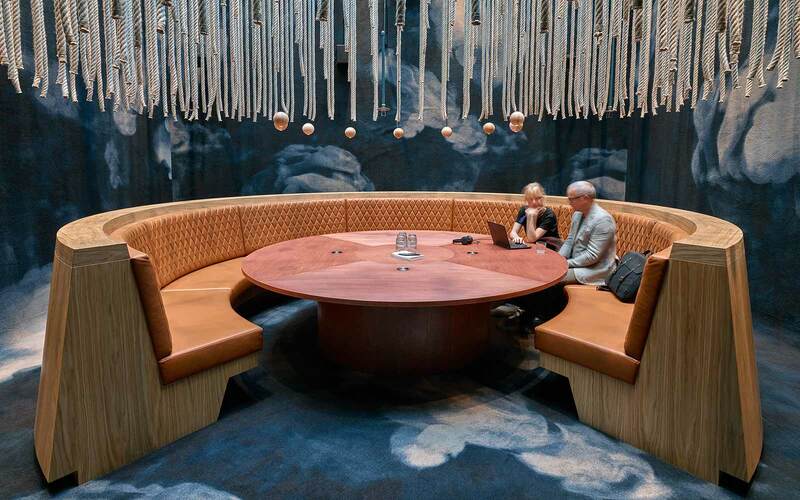 Equipped with several designs from Industrial Landscape, Smoke in a stunning blue colouration manifests the urban nature theme in a bonfire inspired interior setting in the so-called Cocoon meeting room. One of Europe’s leading cashback rewards platforms, Maple Syrup Media operates in the UK, Germany and France. 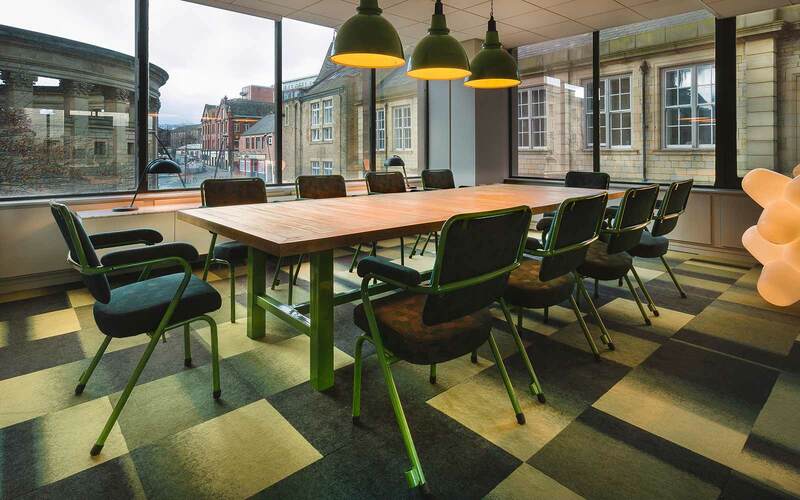 Having outgrown their old office, interior architecture company 93ft was tasked to design and build the new operations centre housed within the Fountain Precinct, which is one of the most recognisable office buildings in Sheffield. Carpet tiles featuring the Brick design, a confident selection of furniture and plenty of planting promote health and well-being across the whole office. Located in the former storage hall of the PSV football club, the KICK Offices facilities make up a raw environment with a natural need of added warmth and acoustic aid. 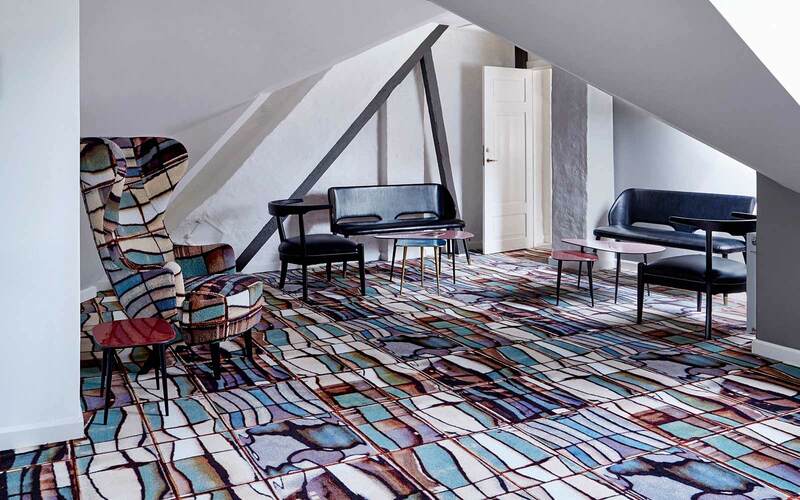 Thus, the creative team from Kragt Groep B.V. among others handpicked two Industrial Landscape patterns to adorn the office floors including the Tide design featured below. Click this link to explore the Wash design in situ. Dating back to 1866, Brønnums Hus was built as private apartments for the Copenhagen upper class. Now, 150 years later, the building has been completely restored into an exclusive office hotel with an uncompromising sense of detail and respect for history. As shown below, the colourful Blur design and an exquisite furniture mix decorate the top floor. Click this link to see the Smoke design blowing new energy into one of the meeting rooms. 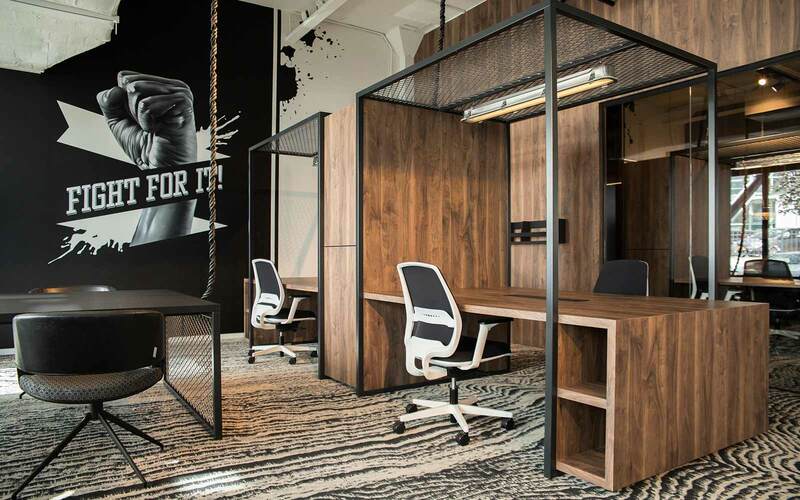 With more than 90 locations in 50 countries, the global management consulting firm counts as just one example of office interiors fitted with Industrial Landscape designs transformed into rugs. 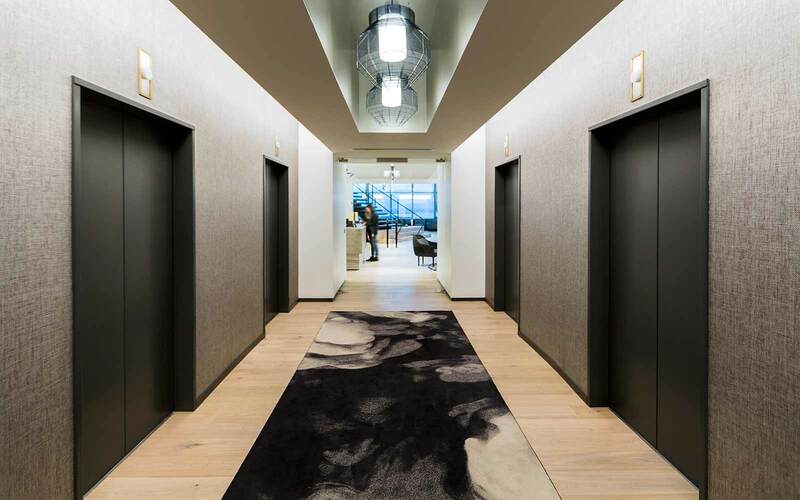 A dark Smoke design welcomes guests to the lift area and creates a soft spot for their interconnection with other floors. Besides bringing the practical advantage of sound reduction, Boston Consulting Group benefits from a warm atmosphere while the rug also marks that this is the place to stop and wait for the lifts to arrive. If you want to find out how to fit Industrial Landscape by Tom Dixon into your own interior project just reach out for our dedicated team that is always happy to help! Or, if you are not that far with you project yet please feel free to order your own free catalogue and samples.